This is list of my project's, that I am carrying out using my equipment and hoping to build my first horizontal CNC machine. First Tracked Robot using Raspberry PI/Ardino control. Tube bending Dies tools for Clarke 10Ton hydraulic press. Anything that i can think of as it comes alone. Electric Power Assisted device for Clarke 10Ton hydraulic press Pumping handle. Inside/Outside pulley curve cutter tool. 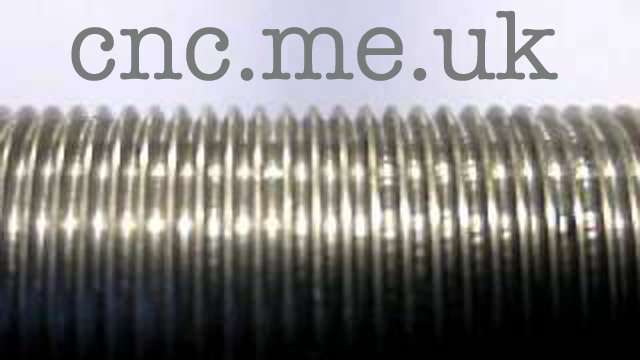 Cnc.me.uk is for those who share a common interest in metalcraft using CNC software, CNC hardware or CNC machinery (Home built or commercial). Its hope is to provide hard to find accurate data on machining & materials specification regarding data on any (ferrous or non ferrous) metal. The use of mechanical engineering tools. Metal specifications for (Aluminum, Brass etc). Raspberry PI, Arduino, Mac & PC Software control of CNC. Electronic's used in CNC machines. Scratch built & purchased. My first CNC project and the story in building my first CNC machine. Restoring, Repairing & Operating a Lathe's (I own a Myford ML7). Metal band sawing, drilling, engineering principles. Hydraulic Pressing including Tube Bending, Die Cutting/Folding in sheet metal. Scrap metalling processes precious & normal using manual/machining & chemical methods. Some of this site's old data was once in the public domain and as the site develops this information will be deleted, edited and or updated as time goes on.